When it comes to Hari Raya Aidilfitri there’s few thing playing around my mind. One of it of course the power supply and internet connection. Fret not, this year I do not have anything to worry since my cousin have register Streamyx. How about power supply? Since everyone own devices such as smartphone & tablets, it’s really a good choice for me to bring back Innergie LifeHub Plus. Waittt… What Innergie? 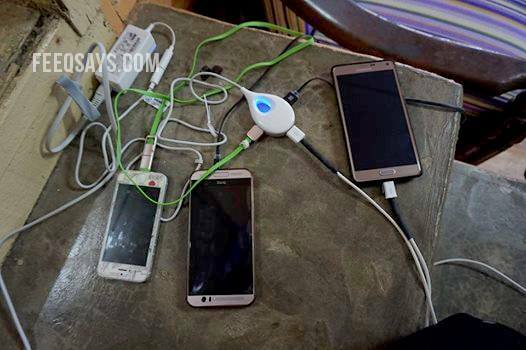 Basically it’s help you to quick charge your devices up to 3 devices. Mentang2 abam ada INNERGIE. Dah la cepat charge. Boleh charge 3 sekaligus!.. Tungggguuuuu…. kemunculan product ini di pasaran Malaysia tak lama lagi tau. Worth every single penny. Now, you no longer need to carry few charger. Why? Because with the all-new Innergie LifeHub Plus, you will have three different plugs (USB). Other than that, they are charged at a good and fast speed! Stay tuned for Innergie’s arrival to Malaysia soon! Personally, I love the design. The simple and slim look. Not so bulky, very light and easy to carry around. Not to mention the color of it. White and look clean. Once you switch the device on, you get blue lights coming from the middle. Kick back and relax, knowing you can charge up to three USB-powered portable devices at a once. With LifeHub from Innergie, you now have one convenient way to charge tablets, smartphones, MP3 players, portable game consoles, and more. So you can just sit back on your sofa and let the LifeHub charge all your portable devices. No more sitting cramped next to an outlet when you’re low on power! LifeHub lets you to use your mobile devices when and where you are comfortable. An ample 6.3 Amp current provides the ports with 2.1 Amp output each, allowing the rapid and simultaneous charging of three tablets or smartphones. 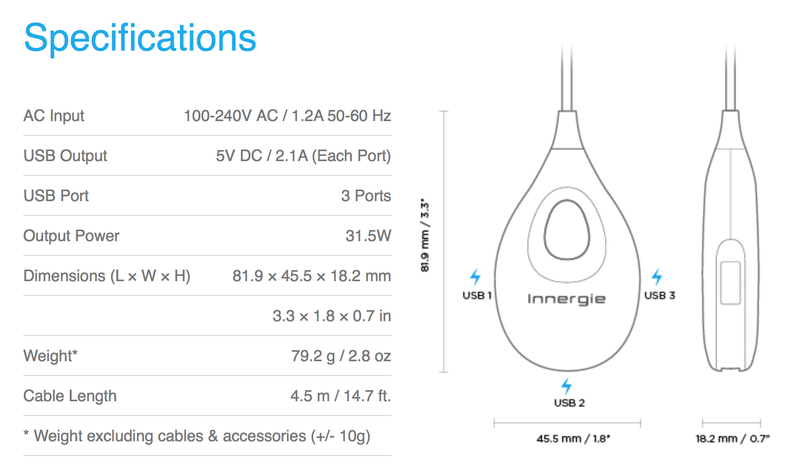 Innergie offers quicker charging that allows you to do more your the devices. When extended the LifeHub offers an extra 14.7 feet (4.5 meters) of cable so that you are no longer restricted by space or distance. Relax on the couch with your family and use your tablet while it is being charged. 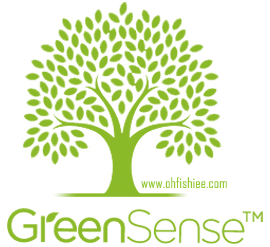 Innergie LifeHub will become an indispensable assistant that will maximize the use of your tablet or smartphone. Our proprietary and patented magnetic cable cradle will free you from the hassle of tangled cables.